Home Kitchen Accessories	Are conical towels in? New and improved ideas and techniques to save space keep popping up in the market. The companies leave no stone unturned to make such products that look good and also occupy less space. Acumen designs associates have come up with a similar idea but for kitchen towels. There are times when space becomes hard to find in a kitchen and this problem exists in almost every kitchen and that is Acumen designs have come up with a conical container for the kitchen towels which will be convenient and will occupy less space. Kitchen towels are a necessity in every kitchen and they also do occupy space then wouldn’t it be better if they occupy a little less? You must all know that a standard packing for kitchen towels is available around a cube made from cardboard on which the towels are wrapped. 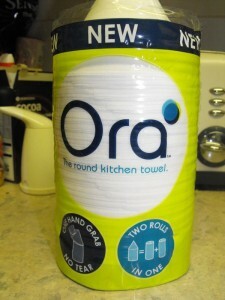 You have to make use of both he hands in order to break the packaging and remove the kitchen towels. UK- start up better all round was launched with a hope that it would appeal to the people. It would take up less space and will be a lot more convenient to use in the kitchen. 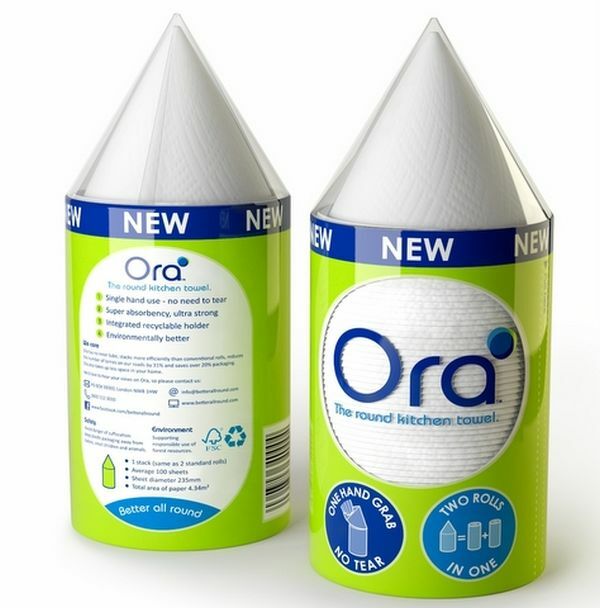 Acumen design have come up with an all new product called Ora which has a cone shaped base that is hollow and is made from waterproof cardboard. The sheets in circular shape take shape automatically in the cone shaped hollow and it is all because of the two pleats. They are stacked on the base of the cone shaped hollow and the users only have to grab a pleat in order to lift one sheet at a time off the top. This is an innovative product from Acumen design and they hope that people will understand the idea behind it. As far as saving space is concerned then Ora from Acumen design is a bit bigger than the usual rolls but you have to know that it can hold twice as many sheets as the roll has. The shape of Ora is such that you can easily stack it one upon the other which means saving a lot of space. It can save space not only in the kitchens but also in the delivery trucks and the shelves of the retailers. It is indeed one of the good products from Acumen design which aims at convenience and saving space.